Main Street in historic Ellicott City has been pretty quiet since the flood disaster in July. The picturesque town has long been a popular destination, with its historic buildings crowded along Main Street among the steep, rocky cliffs, and with the rushing Patapsco River on its east end. The street is usually buzzing with activity as people visit its numerous restaurants, art galleries, and specialty shops. But since the flood, much of Main Street has been closed while repairs proceed. 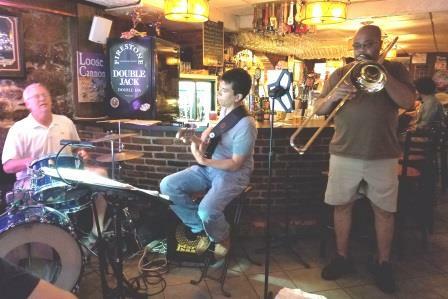 However, the Judges Bench tavern, on the west end of Main Street, was fortunate to escape serious damage, and was able to resume its monthly jazz jam session as of September 6th. 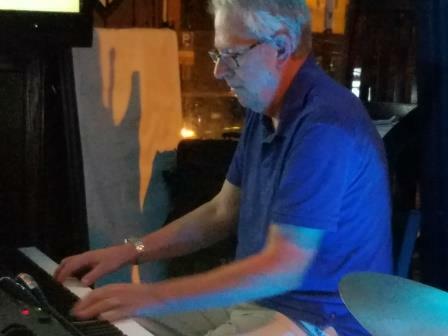 The jam is hosted by pianist Charlie Schueller and his ensemble, which includes Tom Kitchen on guitar, Walter Heber on bass, and Jim Deshler on drums. 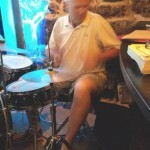 The jam began almost two years ago, held the first Tuesday of each month from 8:30 pm until midnight. It’s an informal jam — there’s a sign-up sheet, but it is mostly for the purpose of introductions. The house band will usually warm up with a few tunes and then invite jammers as they appear. For the most part, the band focuses on tunes from the first three volumes of the Real Books, but guests are always welcome to bring their own lead sheets (both in concert pitch and for B-flat instruments). When there is a big crowd, Charlie will suggest whose turn it is to play; otherwise, it’s easy to just join in. 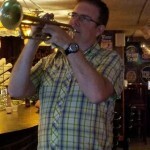 Although the jam draws mainly instrumentalists, vocalists are also welcome. 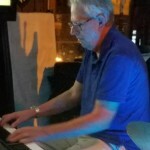 Charlie Schueller has played in a number of bands in the DC area in genres ranging from jazz, rock, country, and Celtic. 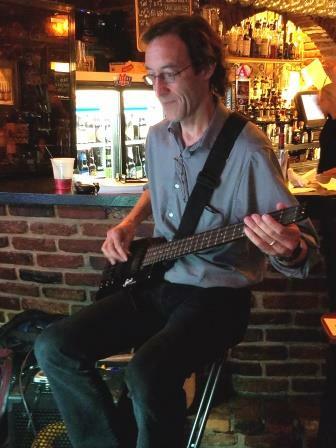 In addition to the jam at Judges Bench, his current projects include a gypsy jazz group called Djangolaya, a female vocal quartet called Yazoozazz, and a worship band at Brookmont Church in Bethesda. 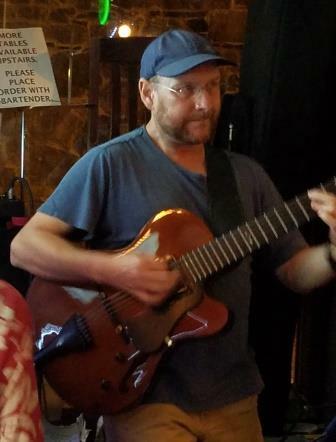 He also co-leads the DC Gypsy Jazz Meetup. 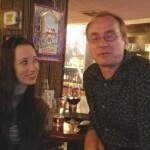 He is a regular participant at Django in June. 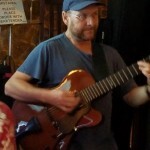 Tom Kitchen (guitar) has played both jazz and classical in a variety of venues in and around DC. In addition to The Judge’s Bench, Thomas also works with his own quartets, trios, and duos including The Slightly Strange String Duo and The Tommy Tritone Trio, as well as the Thomas Kitchen Quartet and Quintet. 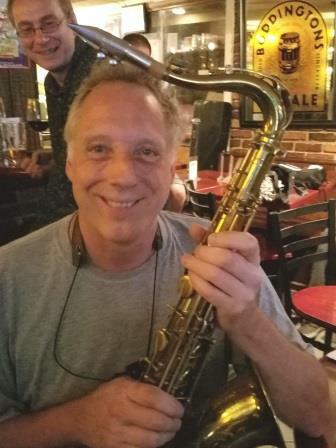 Canadian-born Walter Heber has for the last eight years played jazz, blues, R&B, Gospel, and rock with numerous groups throughout the Maryland and Washington DC metro areas. 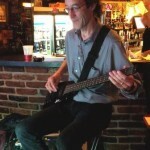 From 2009 to 2012 Walter played bass for the Mount Vernon Swing Band in the Northern Virginia area. 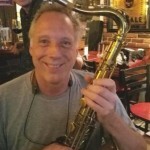 In 2014-15, he played with DC jazz vocalist Chuck Holden. 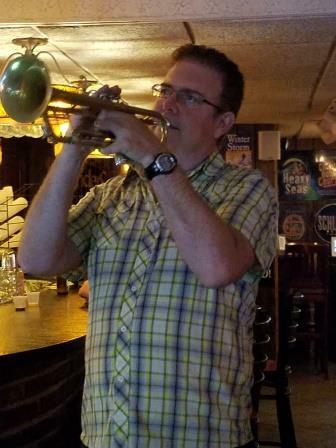 Since 2013 Walter has played for “The Rockin’ Gospel Choir” at Wesley United Methodist Church in Washington DC. 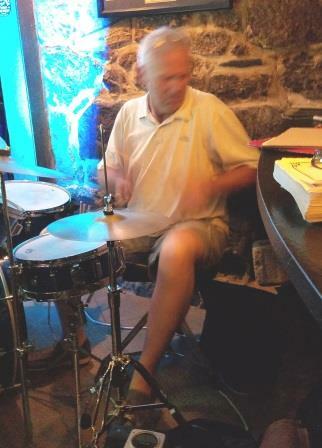 Drummer Jim Deshler grew up in Los Angeles during the 1970s and began playing drums at age 12, continuing through high school and college. Eventually his career took him to Boston, MA, where he continued playing in a variety of local bands at venues such as the House of Blues in Cambridge. 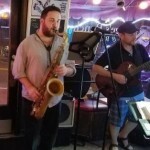 Since moving to DC in 2009, has connected to the jazz community and has been playing with a fusion funk band called “Sweater Weather” and a jazz trio called “Mike “n” Ike (with BJA’s president Ian Rashkin on bass and Mike Banham on guitar). 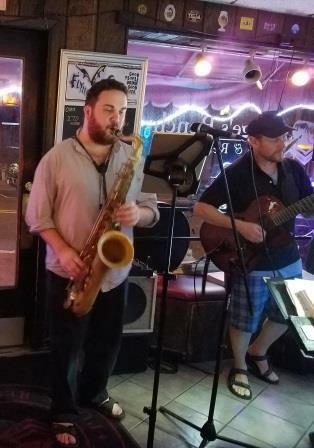 Some of the frequent or occasional jammers include Eddie Hyrbyk (bass), Dan Wallace (saxophone), Mike Weber (trombone), Franklin Wade (trumpet), Jim Martino (sax), Tomas Drgon (guitar and vocals), as well as yours truly (keyboard, vocals). 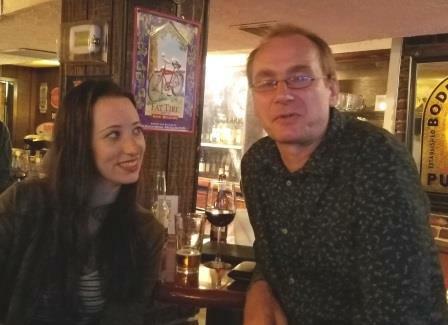 The Judges Bench is a small tavern where you can greet old friends or make new ones at the crowded bar or at a shared table. They serve a variety of soups, salads, and sandwiches feature over 100 different beers in any given month, with daily updates on their webpage to reflect whatever is on tap on that day. Parking is available nearby in Lot G, off Ellicott Mills Drive. The Judges Bench got its name because during the 1800s in historic Ellicott City, it was a grocery store, and the original Howard County Courthouse was just across the street. On summer days, the hot and exhausted judges would cross the street from the courthouse and enjoy cold beverages on benches in the shade outside the grocery store. For more information, contact Charlie Schueller at cschueller@yahoo.com, and visit http://judgesbenchpub.com/ or see the Judges Bench Facebook page.